Carrier makes several different series of heat pumps to fit the needs of a range of consumers. The Performance Series offers high efficiency and quality operation without the price tag of their most expensive series. Here’s a letter from Cindy in Boulder, Utah that gives a Carrier Performance Series Model 25HPA6 heat pump price as well as more interesting details. We’ll add it to our database of HVAC prices to keep our readers on top of current market prices for a variety of HVAC equipment. “Greetings! I thought I’d share our experience of purchasing a Carrier heat pump last spring. We renovated an old house and decided to go with a heat pump instead of another furnace. The house did not have a central a/c so we figured the heat pump would take care of both. And it has – wonderfully. I can’t believe how little we spent on energy last summer and so far this winter. This house is nearly twice the size as the one we moved from – it had a very old system — and our energy bills aren’t any higher. I called 5 or 6 companies to give us heat pump prices and the bids were scattered all over the place. I was pretty boggled about SEER ratings and HSPF and all that. I wish I’d had your site then to learn from! The Carrier dealer here was the first one to stop throwing out numbers and finally take the time to explain that SEER and HSPF are like ‘gas mileage for a car’ and that SEER related to cooling efficiency and HSPF related to heating efficiency. Both are like the AFUE you see with gas furnaces. The dealer also talked about the advantages and disadvantages of a hybrid system that uses a gas furnace instead of an air handler, or going with the air handler and using heat strips to boost heating. He made the point that a hybrid/furnace system made more sense in colder climates and where gas is cheaper. Here, in a moderate climate where electricity is pretty cheap, a standard heat pump system with heat strips makes more sense. I share all of that because I was dazed and confused for weeks trying to understand the specifics of what kind of system to install until this guy walked me through it – so I hope that helps clarify it for anyone who’s as confused as I was, LOL! Up to 16.5 SEER and 9.5 HSPF when installed as part of a matched system. Eligible for the federal energy tax credit and Energy Star rated. Puron/R-410A refrigerant is eco-friendly and does not contain chlorine. 2-stage scroll compressor for optimal efficiency and quiet operation. Sound reduction through compressor blanket and Silencer System II features. Steel louvers for maximum protection. Compatible with air handler or gas furnace. WeatherArmor Ultra protects from the elements. Filter dryer for reliability and longevity. Sizes: 2 ton to 5 ton with 12,000 Btu heating per ton. 10-year limited warranty on all parts. When you invest this much in an HVAC system it is important to know that you’ll get maximum energy efficiency and longevity from it. 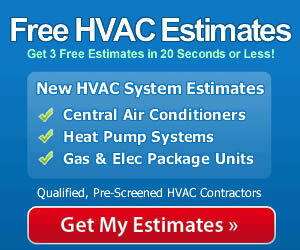 The best way to do that is to hire a qualified contractor to install your Carrier Performance heat pump. They will have the skill set and specialized tools to install, test and adjust the system for highest efficiency and safest operation. You’ll get the performance and the durability that will protect your investment for years to come.